Manchester United qualified for the last 32 of the Europa League last night with a 2-0 win over Zorya Luhansk. 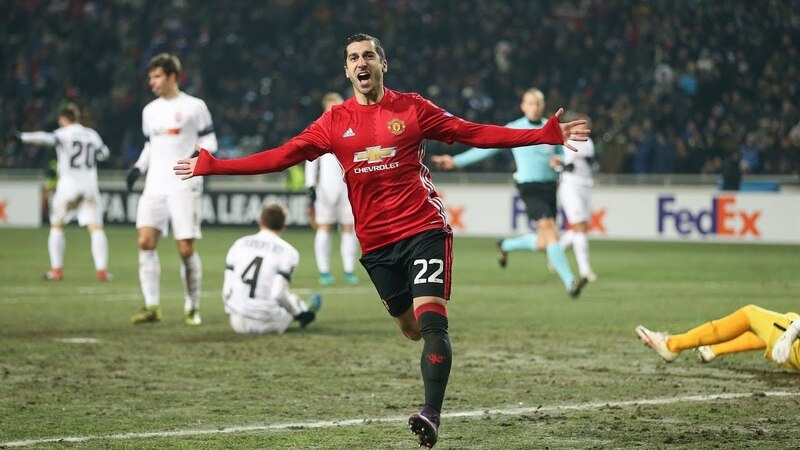 A freezing night in Ukraine and a below par quality pitch didn’t stop Henrikh Mkhitaryan’s impressive form as he broke the deadlock with a fantastic solo goal. Zlatan Ibrahimovic sealed the win in the closing stages of the game. The Europa League last 32 draw will take place on Monday 12th December in Nyon, Switzerland. We take a look at the possible opponents that United could face. Two stand out possible opponents are Zenit St Petersburg (15 points) and Shakhtar Donetsk (18 points), who both picked up the most points in the group stages. If drawn against Shakhtar Donetsk, an away game can not be played in Ukraine due to safety – which will be in United’s favour.